From the developers of the highly successful 360 Newbury St. comes a luxury loft-style condo development located on the border of Back Bay and South End. 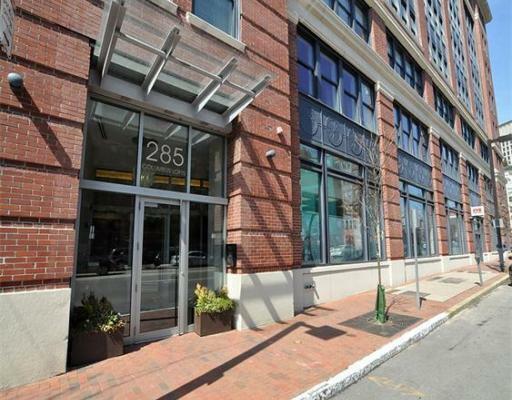 285 Columbus is perfectly situated within walking distance to all that historic Boston has to offer. Units will feature high ceilings, wolf stainless steel appliances, dark hardwood flooring, washer/dryers, walk-in closets, and generous, beautifully finished bathrooms. Enormous windows allow an abundance of natural sunlight to flood the open units. The sophisticated boutique building dates back to the 1950's and was converted around 2007. There are 63 apartments on 8 floors. The building is constructed of brick and frame. 285 Columbus Lofts is also pet-friendly. The full service luxury building features a concierge, bike storage, parking for rent and a roof deck with incredible South End views.The building is located within walking distance of Tremont St., Newbury St., the Copley Mall, The Prudential Center, and Back Bay station. It is a short walk too many of the best restaurants, cafes, shops and trades within Boston. 285 Columbus Lofts is strategically located near all major transportation routes, including I-93, Mass Pike, and Storrow Drive.